Please join Friends of the Burke-Gilman Trail – Ballard for Happy Hour to express your opinion about completing the Missing Link of the Burke Gilman Trail in Ballard. Your presence and support for completing the Missing Link on the safest, simplest, most connected route option, the South Shilshole alternative, will send a strong message to the Mayor and SDOT as the final EIS is prepared! 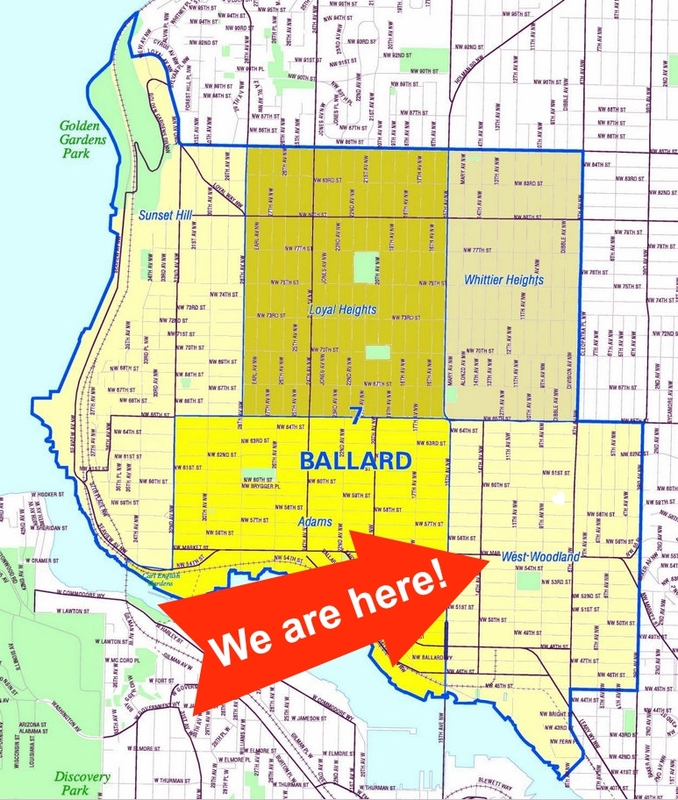 A portion of the ‘Missing Link’ runs through Ballard’s West Woodland neighborhood. Learn more HERE. RSVP: Event is FREE, but seating is limited, please RSVP HERE. City Councilman, Mike O’Brien, will join us to discuss the current status of the project at 6 p.m.
Complimentary food, beer, wine, and other beverages will be provided. Please RSVP Online at www.ballardmissinglink.weebly.com so we know how much food and drink to order. Space will fill up quickly, so please RSVP soon to reserve your seat. Plenty of free convenient parking for vehicles and bicycles. Bring a friend, and share with interested parties! Please call Mark or Melissa at 206-850-3521 or email: theballardmissinglink@gmail.com if you have questions.